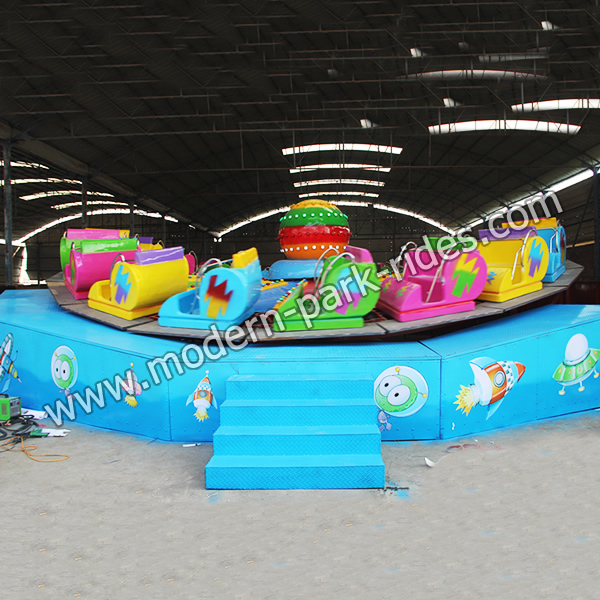 Music Express ride is an amusement ride in most of the amusement park and playground. The ride features twenty 3-passenger cars connected in a circle. These cars rotate on a track with alternating sloped and flat sections. Rotation is possible in both a backward and forward direction, as the ride is manually operated. The ride is powered by 4 DC motors, and can reach a maximum speed of 12 revolutions per minute.